An accomplished professional with over 30 years direct Military Intelligence experience in command, organizational leadership, and management of personnel and material, in domestic and combat environments. As an Army Officer and Department of the Army Civilian, led military and inter agency organizations to success in the creation of complex intelligence collection and analytical structures and robust analytical teams. A published author with numerous articles covering firearms, firearms instruction, counter terrorism, counter drug, and intelligence topics. Developed, trained and aggressively led specialized intelligence teams at all levels in finding, fixing, and supporting the finishing of this nation’s enemies. 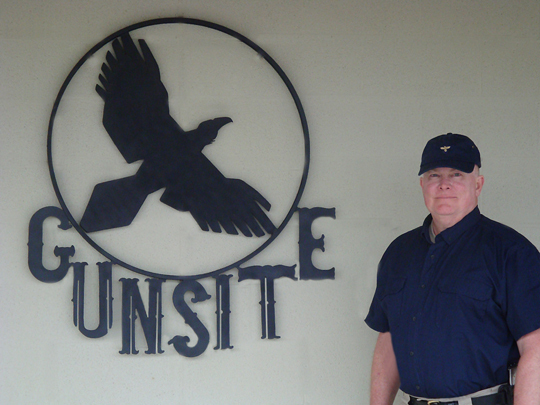 A firearms enthusiast with 40+ years of experience in using firearms for hunting, competition, and self-defense. I’ve carried a concealed handgun officially or as a private citizen since 1986 and know what works and what doesn’t. I worked for over 15 years in environments where high levels of terrorist and criminal threats were a daily part of life and I’ve used a handgun in 3 violent confrontations. I study the human dynamics of lethal encounters and have completed my Force Science Institute certification in Force Science Analysis. I’ve trained with the best and have a proven ability to take students from their first experience with a handgun through intermediate and advanced levels of the modern technique, close range gun fighting, force on force, and low light skills.